What does the future hold for us? It's a question many have pondered, and many different answers have been given. 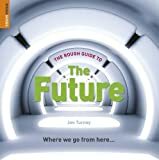 In The rough guide to the future Jon Turney looks at the different predictions which people have made about the future. Continued..